On initial spray, I am overwhelmed by how tart the opening is. I get a very sweet but sour cranberry mixed with orange and a very subtle underlying camphorus, peppery note. It smells like candy. It also makes me think of a madras cocktail only on the synthetic side and much sweeter, on the verge of being sickly even, but the sweet begins to die down fairly quickly and I’m actually glad for it. The top notes run relatively linear into the heart, which maintains the camphorus cranberry even once the orange has faded. Jasmine then begins to develop with a more natural sweetness as hints of patchouli waft in and out. The cedar is very faint in the final stages, as it is overall, pretty light with the base notes. It’s definitely more heavy in the top and the heart. But it is sort of a chameleon of the bunch. While all the notes are always there, the concentrations of the notes and longetivity change with the weather. In arid weather it has zero lasting power but in the humidity it lasts for hours. Warm weather can make it a bit cloying too but the cold really tames the sweet. I see rainy wet fall/winter weather being the ideal time to wear this for the best effect. This is not my most favorite from the Elixer Charnels collection but it definitely has its place, although I’ve been reading rumors of its discontinuation since the beginning of the summer and here it is now end of October. Even still, I get a craving for this frag when the weather is just right. My biggest complaint about this one is that I just wish I got a little more from it especially more woods. It IS supposed to be “torrid woods” afterall. 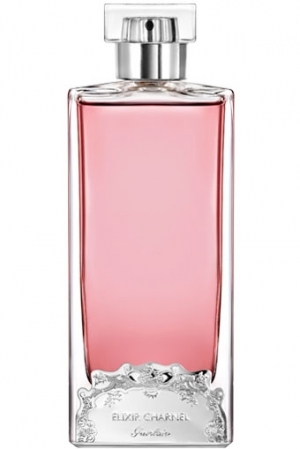 But overall it’s a really great fragrance and probably the most complex and multifaceted of the collection. It reminds me of Mitsouko in the way that it changes with each use. Don’t misunderstand me when I say that. They smell NOTHING alike but they behave the same, in that they are not consistant anytime you put them on. Depending on your chemistry at the time, what you ate, the season, temperature, humidity, even time of day, the different variables bring out a little something different from the perfume with each use. Chameleon like I said. But it’s one of the things that keeps me intrigued with this frag. But no matter how it changes on me I DO know that its beauty remains constant. FK opens a little sweeter than LR because of the litchi and rasberry but it’s pretty much gone as soon as it dries into the heart, where it becomes that same waxy rose and violet accord. The SAME!!!!! Yes it smells the way lipsticks used to smell. I own LR and FK both in full size bottles and wear them side by side and I can barely tell them apart. French Kiss seems to have just a little bit more depth, just a tiny bit of spice that LR doesn’t have. LR seems a little bit cleaner and sharper but other than that they smell the same, with the same amout of projection, sillage, and longetivity. Someone who wasn’t as familiar with them both probably wouldn’t be able to tell the difference. I think maybe I’m telling the difference only because I know where I sprayed each. A blind test is in order! I REALLY wish I could give this frag its very own review but unfortunately it would just be repeating everything I’ve already written about LR because they are basically the same fragrance. The differences are really too subtle to matter. The dry downs are a tiny bit different too but again, not enough to matter, well not to me at least. FK seems to sweeten up a bit towards the end while LR stays fairly linear. This all MAY be different on you though, because of differences in chemistry, so keep that in mind. Regardless, I would highly recommend testing them both first before buying to see how they wear on your skin because they are not cheap. Guerlain is my very favorite perfume house with Frederic Malle coming in for a very close second, but with these two perfumes specifically, it really comes down to a matter of value, in my opinion, and in this case, Lipstick Rose wins hands down. It’s almost a dollar less per ml at $2.65/ml where French Kiss is roughly $3.50/ml. And LR has more size options available with a 10ml, 50ml, or 100ml bottle plus options for body lotion and shower gel. FK is only offered in 75ml flacon. No shower gel, no lotion. There’s a reason originality stands out and wins most of the time and it does so once again in this case. 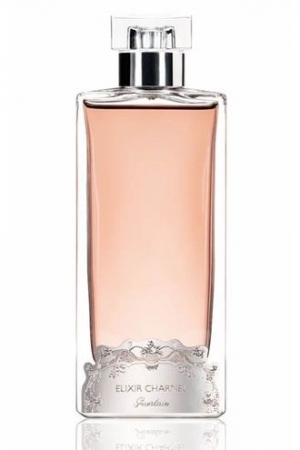 While Lipstick Rose has been around 14 years and still going strong, I forsee Guerlain doing what Guerlain is known to do and discontinue this one in the near future, say, within 5 years and possibly reissuing it again under a different name and packaging sometime in the next decade. That’s not to say that I regret purchasing it because I don’t. It was thrilling to complete my Elixer Charnel collection and to have enough juice to really wear it and truly get to know the fragrance but I will probably put it away as a collector item rather than part of my active wardrobe. There’s no point when I get a better value with same fragrance wearing Lipstick Rose. Would I ever buy it again? Nope. It just can’t compete. Sorry Guerlain. I still love you though, regardless. How important is it, when choosing perfumes, that they are appropriate for certain seasons and times of the day? Or does it even really matter? Well, would you wear a bikini outside in the dead of winter? Or a wool peacoat to a summer baseball game? Probably not! But with perfumes it’s not as obvious until you get a little more experience with the notes. But yes! It does (kind of) matter! Temperatures and humidity affect perfumes much more than we think they would. During the hotter seasons, the heat warms up perfume and ‘burns’ it off much faster than in the winter because warm air is less dense than cold air. Think of water in a pot. The hotter you warm it up the faster it evaporates, but if you put the pot in the freezer, the water does the opposite, becoming more dense, and freezes. Perfume in the summer evaporates faster but in the winter its’ rate of evaporation is much less. So perfumes that are very strong (think oudh) will be cloying monsters in the summer but in the winter, the cold tames the beast. And the opposite applies to warm weather frags. Light and airy perfumes need the warmer seasons to warm up the fragrance so you can actually smell it. If you wore it in the cold you might barely smell it OR you would need to apply much more to get the same effect. It also applies to the time of day as well because evenings are typically cooler than during the day. This all gives rise to the more complicated notion of trying to figure out what the difference between a fall day perfume vs a fall evening perfume and etc. 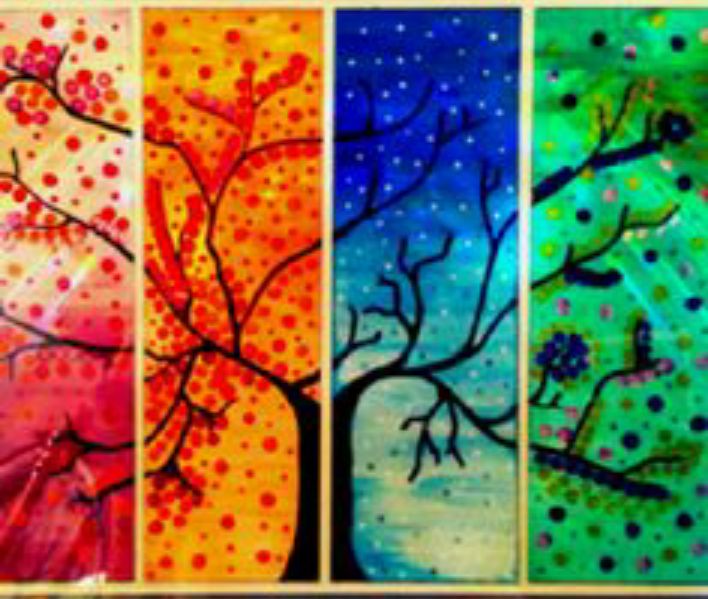 for the other seasons. The good news is that Fragrantica has a handy guide for each perfume in its database that users can vote on for which season and time of day the perfume works best. Over time and with more experience with perfumes, you will get a feel for the different fragrance seasons though, so don’t worry about it too much. Nothing will teach you better than trying out your wardrobe year round and seeing for yourself, how they wear. Perfumes are subjective and very personal. And really, there are no written laws for their proper use, much less a ‘fragrance police force’ to fine you for fumigating an elevator with 15 sprays of Angel in the middle of July lol. It all comes down to personal tastes and prefrences, just like anything else in fashion. But there ARE ‘recommended’ guidelines, that arose naturally from many peoples experiences, to follow if you want to get the best use and value of your perfume. CAUTION: If worn in warm weather, this perfume becomes a cloying, skanky hot ashy mess! There, I said it. 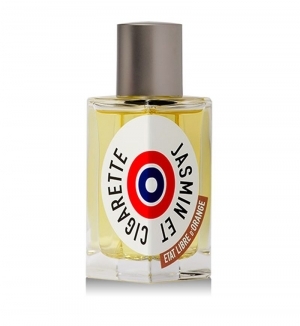 Jasmin et Cigarette is NOT for the faint of heart but only for the bold and daring who want to stand out. Worn in cooler weather, the tobacco is kept in check and the jasmine really shines! But in the heat it smells like a hot dumpster sitting behind the local dive bar! Rotting garbage, vomit, and week old ashtrays. Not very attractive to say the least. I give it 10 points for originality though. I really like how different and unique it is. It’s a very “niche” niche, so the chances of bumping into someone else wearing it is extremely low and there’s nothing else on the market that really compares. But this frag DOES demand attention so if you’re looking for a non-offensive, office friendly perfume this is definitely NOT it! JeC is in the same category as “Angel”. It’s strong, with “slap you in your face” projection, everlasting sillage, extremely loud, and can be a very offensive and nauseating beast. Not everyone can pull this one off. Even I can’t pull this one off all the time. I must pick my battle wisely! But when the time is right and the weather is cool and arid, like the middle of fall, the jasmine wears like Gardenias in full bloom mid-summer. Very sweet and full, very heady and just gorgeous with the tobacco playing a supporting role bringing out those indoles. But even summer blooming gardenias can become cloying when overloaded. But when the air catches the scent and the breeze wafts by your nose it’s intoxicating. 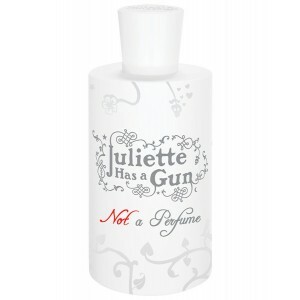 And that’s exactly how this perfume wears so I recommend using a light hand when spraying this: a little dab’ll do ya! I absolutely LOVE this for fall and winter but avoid it like the plague during the warmer months lol. Notes: Apricot, Tonka bean, Musk, Tobacco, Cedar, Jasmine, Hay, Amber, Cumin. Though Vol de Nuit and I got off to a rocky start, I’ve come to conclude that this amazing fragrance is the queen supreme of powdered iris, once you get to the dry down heart of the perfume. The opening galbanum is very strong, sharp, and metallic green, perfectly fitting the flacon, but once the opening phase is past, it transforms into the most beautiful powdery scent, that’s very, lightly sweetened so it’s not too dry. I was a bit challenged by the top notes as a novice perfumista starting out, but over the years I have come to appreciate the full development of this iconic fragrance. The art deco styled “propeller” flacon, inspired by the book of the same name, is to die for and is hands down my favorite bottle design out of everything in my entire wardrobe. I have the EdT and Parfum concentrations but find the EdT easier to wear, and surprising, much more enjoyable, which is completly opposite to every other perfume I have since the parfum is usually the smoothest, richest, and least harsh. Both concentrations are more skin scents, with low projection. I find the edt projects more and seems much more powdery than the parfum. Not to mention the extreme difference in price between the two. Though I’m sure that propeller flacon counts towards much of the cost, a new retail bottle will put you back $350 USD before taxes, and there are only a handful of high end dept. stores that carry it. The edt on the other hand, in the new atomized bee bottles can be bought online from many different discounters for around $50. VdN in both concentrations and I did get off to a rough start though. It took some time for me to really appreciate the beauty of this fragrance, as I, coming of age in the 90’s, really got my start with perfumes that were highly sweetened, aquatic floral bombs. And VdN is none of those. Or really, the opposite of those, being very green at first then very powdery dry. But it’s a sophisticated, mature fragrance that IS somewhat haughty, as iris fragrances tend to be since they are considered cold. Another reason it took a while to really get this fragrance was because I didn’t give enough patience to wait for the dry down before passing judgment. The first 15 or so minutes, VdN is very shrill and metallic on my skin, in the same way that Nahema extrait is, and I had a hard time getting past that. I still haven’t got past it with Nahema but that’s another story for another day lol. We live in an age of highly sugared, soapy clean, and fruity floral bombs. They are very easy to wear and require zero sophistication. They are a part of the “made for consumer market”, just as fast food and reality TV are. But there is no artistry involved in them, any of them. They’re easy to swallow, require no contemplation, easy to digest, and are created from a market tested approved cookie cutter production formula. Vol de Nuit predates this method of creation. 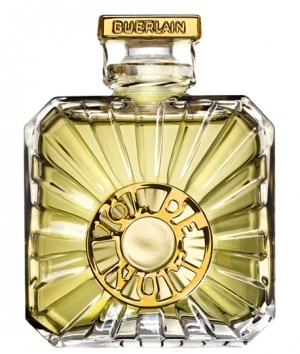 When Jacques Guerlain created this perfume, he had a vision and heart. He wasn’t looking for anyones’ approval in this creation. No true-to-self, authentic artist creates art for the sake of their audiences’ approval (commissions excluded, obviously). This perfume is authentic art. I find myself coming back to revisit this one more and more frequently. In fact I’ve not only amassed a little collection of current and vintages, I’m going on my second bottle of edt! It’s really become a love. Jacques Guerlain was a master perfumer who created some of the most iconic perfumes of all time, this being one of them. Just having the ability to experience that history is reason enough for me to want to wear it but I find it more enjoyable and lovely everytime I put it on. I received a sample of this along with a whole bag of samples that came in a promo gift with a purchase from Barneys. This was love at first sniff! I thought Noir Extreme for men was nice but the womens’ counterpart is just fantastic!! I ordered a full bottle immediately after trying my sample. I usually give it a day or two to really give a frag a good testing but there was no doubt that this was a fragrance must have. Even my hubby complimented it. 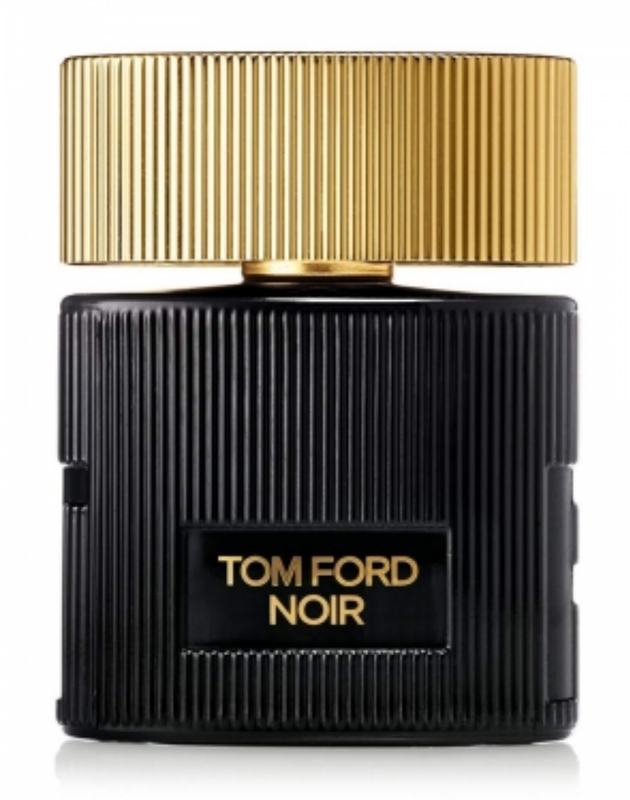 The notes alone would have led me to believe this was more of a white floral fragrance, with the jasmine, orange blossom, and vanilla but this really is a “Noir” fragrance. It’s heavy and thick with the amber vanilla. The sandlewood and mastic really add almost a smokey depth to the whole composition. It’s also spicy but sweet spicy, I imagine from the kulfi. I’ve sniffed hundreds upon hundreds of perfumes and after a while it becomes fewer and farther between that a perfume really makes me stop what I’m doing and say ‘Wow’. But this one wow’d me from the first little spritz of the sample I got with my last frag purchase. Pure magic! For me, this was a very strong like from the first sniff. I wasn’t completely blown away by it but I WAS very much impressed. This is the cleanest (non) perfume I’ve ever smelled! Like fresh laundry, still warm out of the dryer. Well, after the dry down at least lol. On initial spray, I admit, it’s a bit unpleasant. Not foul, by any means, but a little on the harsh side and alcohol-y. Not unusual though as many frags are harsh on opening. But as soon as it dries, a wonderful aroma begins to develop. It gradually warms up, becoming more potent after being worn a few hours. Because of this, it’s very easy to overspray this one because its strength is very deceptive. It also has great longitivity. On skin I could easily smell it all day and into the evening. On clothes- for days. I really like the versatility of this juice. Not only is it unisex, it works well any season. And smelling clean is appropriate for any occasion! It’s also hyperallergenic, so it can be worn when perfumes cannot or should not be worn. For example, nurses and others in the medical field aren’t supposed to wear purfumes around patients. It can also be worn by those who have very sensitive skin or allergies.